The CBDT has issued guidelines for expeditious tax refund of up to Rs. 5,000 in cases where the department wants to adjust the refund with a pending demand, which has been contested by the assessee. The guidelines would help further streamline the process of refunds. Between mid-April and January, the Income Tax department has issued a record Rs. 65,000 crore worth refunds. “Where the tax payer has contested the demand, Central Processing Centre (CPC) would issue a reminder to the Assessing Officers about the contention of the tax payer, asking them to either confirm or make appropriate changes, to the demand within 30 days,” the Central Board of Direct Taxes (CBDT) said in an office memorandum. The CBDT, further, said where the tax demand has not been contested by the assessee, the CPC would issue a reminder to the taxpayer asking to either agree or disagree with the demand and submit response on the e-filing portal within 30 days. The office memorandum relates to cases where a notice has been served under Section 245 of the I-T Act to the assesse wherein the I-T Department wants to adjust refund due to an assessee against a demand pertaining to an earlier assessment year. Last month, CBDT had directed CPC-Bengaluru and field units that refunds up to Rs. 5,000, and refunds in cases where outstanding arrears are up to Rs. 5,000 may be issued without any adjustment of outstanding arrears. The move was aimed at expediting the process of issue of small refunds. Commenting on the guidelines, KPMG in India Tax (Partner) Vikas Vasal said: “Adjustment of refunds against outstanding demands, has been a matter of concern for the tax payers for some time now. 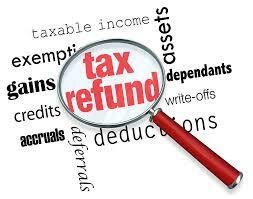 The recent instructions regarding refund process are a move in the right direction”. The CBDT said in case where assessee had contested the tax demand, and there is no response from AO to the reminder sent by CPC, then the CPC would issue the refund without any adjustment. “The responsibility on non-adjustment of refund against outstanding arrears would lie with the AO,” the CBDT said. With regard to cases where there is no response from tax payer to the reminder notice from CPC, the CPC would adjust the demand along with applicable interest, against the refund due and issue the balance refund, if any, to the tax payer. The committee formed to simplify I-T Act under Justice R V Easwar had also recommended that the tax refund process should be streamlined and the procedural issues be ironed out to avoid unnecessary litigation.